Hi guys, here is an amazing deal from amazon. 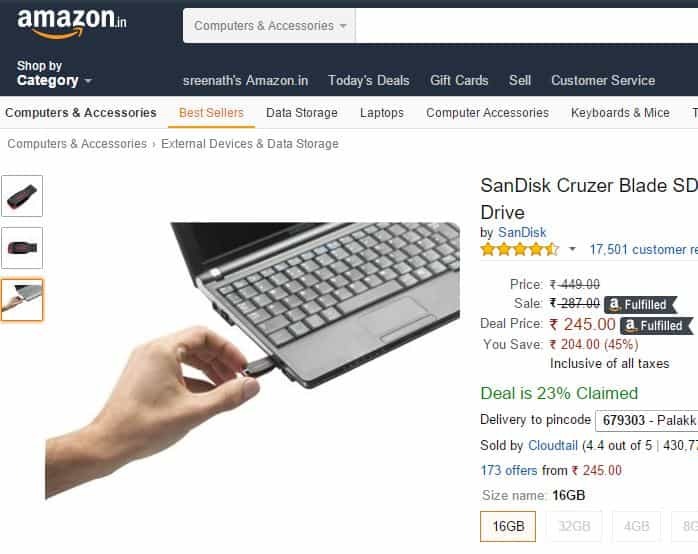 Now buy sandisk 16gb cruzer blade pendrive for just rs 245. This is a good deal from amazon. As a part of storage devices discount sale amazon providing many good deals. I am selected one dealfor you. Hope this will help you. Don’t waste this great opportunity, buy 16 gb SanDisk pen drive for rs 245 [lowest price, ever]. Its actual price is rs 449.
hope you got the deal. if you like this article, please share this on social networking sites and help your friends too.